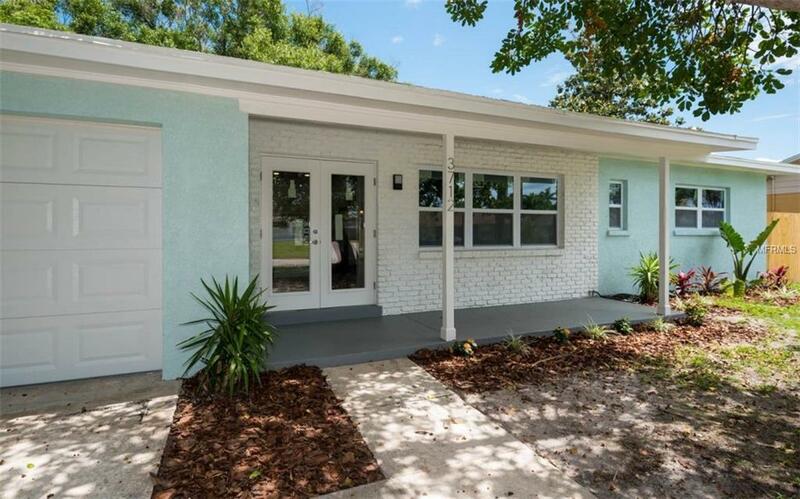 Completely renovated 4 bedroom/3 bathroom home in wonderful West Bradenton location! Extensive renovations include new hurricane impact windows and doors, tile flooring throughout all living areas and baths, new carpet in all bedrooms and fully updated baths. Remodeled kitchen features stainless steel appliances with induction range, LED lighting, new cabinetry and quartz countertops. The master suite offers a large walk-in closet, brand new bathroom with step-in shower, custom built vanity with makeup station, soft closing cabinets and quartz countertop. The light and bright open floor plan is perfect for entertaining. Situated on an oversized lot of just under a quarter of an acre, the newly fenced back yard and covered patio offer fantastic outdoor living.